Most people believe that dogs and cats hate each other but this video proves something otherwise they love each other a lot they're best friends. 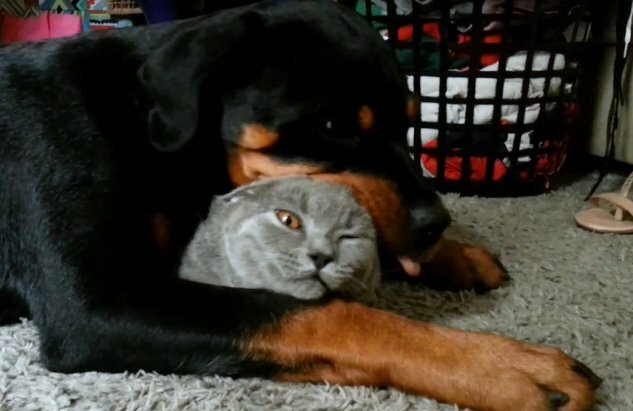 Amazing video shows how a one year old 125 pound Rottweiler loves this black kitten. Another video that proves the true nature of the rottweiler breed, a very kind dog breed who gets along well with children and other pets if trained well. Definitely rotties and cats can be real friends and play together. Video shows best nature of Rottweilers.